Russia would be on firm ground if it challenged the legality of the US military presence in Syria under international law, analysts told Sputnik. WASHINGTON (Sputnik) — They gave their assessments after US Special Operations Command head Raymond Thomas told at a security forum last week that Russia can challenge legality of the US military presence in Syria. "The United States military intervention into Syria without the permission of the Syrian government clearly violates the United Nations Charter and the Nuremberg Charter, Judgement and Principles," University of Illinois Professor of International Law Francis Boyle told Sputnik on Monday. The intervention also violated US Army Field Manual 27-10 (1956) on The Law of Land Warfare, Boyle pointed out. Last week, US media reports stated that President Donald Trump had decided to end a four year CIA military training program costing half a billion dollars a year to train the military forces of Syrian opposition groups seeking to topple the Damascus government. These groups had been claimed to be moderate and secular but in reality they were dominated by violent, extremist Islamist groups, most notably the Nusra Front, the Syrian franchise of al-Qaeda. By contrast, the Russian military presence in Syria had been invited by the legal government and was in accord with the principles of international law, Boyle observed. "Russia is in Syria at the request of the Syrian government, which makes it lawful under international law," he said. Russia had the legal right to sue the United States under international law but this would not change anything in practice because based on previous such attempts, the US government would simply ignore any judgement against it, Boyle noted. "For Russia to sue the United States at the International Court of Justice over this would be a total waste of time," he said. When Nicaragua did the exact same thing against the Reagan administration, the US government violated the World Court’s 1984 Temporary Restraining Order, Boyle recalled. On that occasion, the Reagan administration violated the World Court’s Final Judgement on the Merits for Nicaragua and against the United States, Boyle stated. The US government also "vetoed Nicaragua’s attempt to enforce the World Court’s Judgement at the United Nations Security Council, and refused to pay Nicaragua even one Yankee Cent in damages," he continued. The same principles that led the World Court to find against the United States and in favour of Nicaragua in 1984 would also apply now if Syria or Russia sought to take legal action against the US intervention in Syria, Boyle explained. "If you read the World Court’s 1986 Judgement in the Nicaragua Case, all you have to do is substitute Syria for Nicaragua and ‘jihadis’ for ‘contras’ to reach the exact same conclusions of gross illegality," he remarked. Both Russia and Syria would prevail against the United States at the International Court of Justice, Boyle concluded. 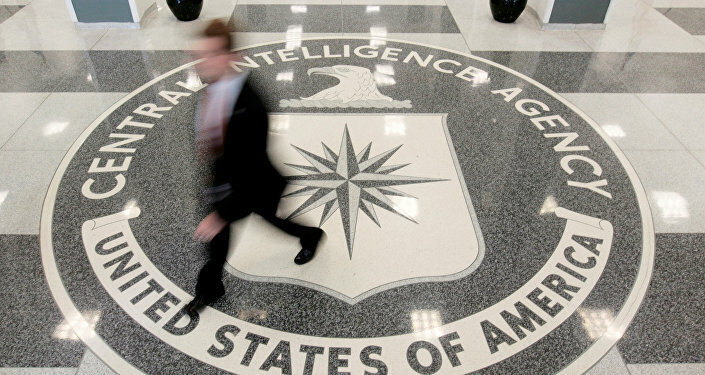 Critics have attacked Trump for unilaterally choosing to shut down the CIA training program instead of trying to leverage it to force concessions from Russia. However, supporters of the decision have pointed out that the program had been wasting hundreds of millions of dollars per year and that it had been long criticized for its ineffectiveness and lack of accountability by many senior US military and intelligence officers. Retired United Kingdom Foreign Office official Jonathan Clarke agreed that the Trump administration was unlikely to be swayed in its policy-making on Syria if any judgement from the World Court or other international legal body found Washington to be in breach of international law on the issue. Clarke told Sputnik that he was "not convinced that this is an administration for which legal compliance is paramount." General Thomas in his comments on Friday noted that the stated reasoning for the US presence in Syria was to fight the Islamic State terrorist group (banned in Russia) and other terrorist groups, not the government of President Bashar Assad. If the Russians presented the legal case against the continued US military presence in Syria US leaders might still want to stay but find they had no ability to do it, Thomas suggested. The US-led coalition of now more than 70 member states has been conducting airstrikes in Syria since 2014.